From Goodreads: Seventeen-year-old Teagan McNeel falls for captivating Garreth Adams and soon discovers that her crush has an eight-point star etched into the palm of his right hand-the mark of an angel. But where there is light, dark follows, and she and Garreth suddenly find themselves vulnerable to a dark angel’s malicious plan that could threaten not only her life, but the lives of everyone she knows. Divinely woven together, Angel Star takes readers on a reflective journey when one angel’s sacrifice collides with another angel’s vicious ambition in a way that is sure to have readers searching for their own willpower. 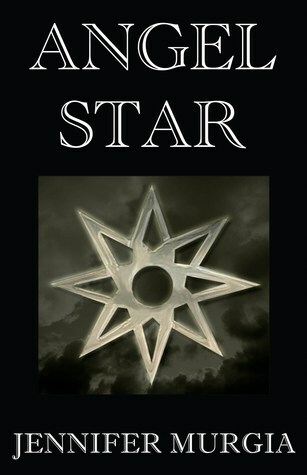 My Reveries and Ramblings: Angel Star, written by Jennifer Murgia, is the story about good vs evil, or light vs. dark. Teagan’s life isn’t that great: she has only one friend, Claire, is the object of torture by a group of girls at school, is plagued by nighmares, and her father disappeared when she was a baby. One day while sitting on a bench, a new transfer student, Garreth, approaches and talks to her. He seems to shine/glow. She realizes that not only does she feel strongly for him, he makes her feel safe from the nightmares and the dark shadows that seem to follow her. Garreth is her guardian angel. He has watched over her and kept her safe for years. He is finally allowed to appear to her as a human, but only for eight days. During those eight days her destiny will be revealed. I had mixed feelings about this book. I really liked the chemistry between Garreth and Teagan. Their bond was beautiful. Whenever Teagan was worried he would breathe for her, calming her. It was so sweet. Their dynamic was the best part of the book. Hadrian, Lucifer’s brother, is the dark angel. He tries to corrupt people’s guardian angels so that he can control humans. Garreth and Teagan are constantly running from him. When Hadrian starts targeting people close to Teagan, they stand and fight. While Garreth symbolizes light, Hadrian represents the darkness. Teagan finds herself drawn to Hadrian and the darkness only to be reminded of her light, Garreth. This situation is parallel to the good-angel-bad-angel-on-your-shoulders. Both are trying to pull Teagan in different directions and get her to do something. It is both an internal and outward struggle for Teagan. There were many things I didn’t like about this book. There were times when I was confused as to the location of the characters; one minute they are talking in the car, the dialogue going, with no mention of leaving the car then all of a sudden they are in the park on a swing set swinging. There were times when I couldn’t tell the difference between her nightmares and reality because she kept “waking up” suddenly in her bed like it was all a bad dream. I could never tell if the action sense took place in her nightmare or in reality. I really liked the basic story of Angel Star. I think Jennifer Murgia could have slowed it down a bit by adding more detail to the action scenes and adding more depth to the characters. Overall, this book wasn’t for me. I didn’t really like it. In all honesty, I only continued reading, and will probably read the sequel, Lemniscate, because of Garreth and Teagan’s relationship. Their connection was deep, like down to the soul deep. It was fascinating. 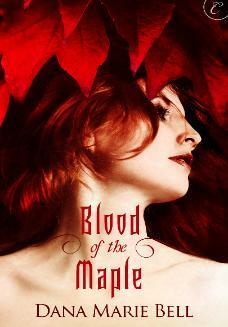 Jennifer Murgia’s idea was fresh and different from many of the angel books I’ve read. From Goodreads: Evie’s always thought of herself as a normal teenager, even though she works for the International Paranormal Containment Agency, her ex-boyfriend is a faerie, she’s falling for a shape-shifter, and she’s the only person who can see through paranormals’ glamours. But Evie’s about to realize that she may very well be at the center of a dark faerie prophecy promising destruction to all paranormal creatures. So much for normal. My Reveries and Ramblings: I really enjoyed this book. If I had to give a one word review for this book it would be AWESOME. It was so much fun. 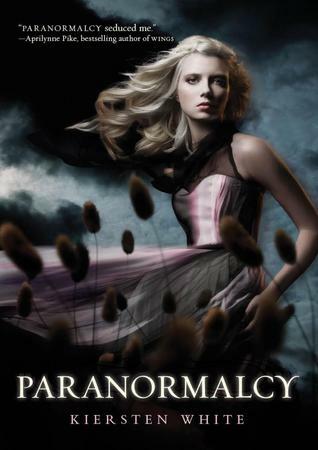 Kiersten White weaved together a fantastic story stuffed with action, suspense, a bit of mystery, romance, and just about everything paranormal. Paranormalcy is told through Evie’s POV. Evie grew up in the foster care system, never knowing her parents, until she was 8 years old. That was when she was almost the victim of a vampire attack. She freaked out in front of the vampire because she could see through his glamour to the dead corpse beneath it. This ability caught the attention of the agent “bagging and tagging” the vampire. No other paranormal or human can see through paranormal glamour. Since Evie didn’t have a family, the International Paranormal Containment Agency (IPCA) adopted her. Her mother figure, Raquel, makes sure Evie is tutored as well as trained. At 16, she can successfully “bag-and-tag” a paranormal. Even though the IPCA is much better than the foster care system, Evie still longs to go to a normal high school, complete with a locker and friends. The only friend she has is a mermaid, Lish, who talks through a monotone communicator since she can’t actually speak English and lives underwater. When a paranormal takes the shape of Raquel and starts looking through her office, Evie, who can see through his glamour, tasers him (with Tasey!). When he drops to the ground unconscious, he turns transparent, like water, but still solid like a person. Evie succumbs to her curiosity and starts spending time with “water boy,” Lend. Evie has never seen a paranormal like him, neither has anyone at IPCA, and because of that (and the fact that he broke in) he is kept there. Lend can change how he looks and can shift into other people easily. One day is an adorable Chinese boy and the next, the star of Easton Heights, Evie’s favorite TV show. He also enjoys shifting into Evie’s form. Although he can’t get her eyes right. As they spend more and more time together, Evie finds she has a crush on Lend. Evie’s ex, Reth, doesn’t seem to want to let go. Reth, a faerie, shows up randomly temporarily kidnapping Evie or burning her throughout the book. Of course Lend is quite helpful during these visits, coming to her rescue, or at least trying. Reth also doesn’t seem too concerned about the paranormals all over the world dropping dead. In fact, he seems more concerned with spending uninterrupted time with Evie. Evie was such an interesting character. Her POV was so refreshing and so much fun. Having grown up in the IPCA, she’s never been to a high school or had any normal human friends her own age. She’s in her element when she’s on an assignment or inside the IPCA, but she really wants to live a normal teenage life. After meeting Lend, she gets a taste as to what her life could have been if she wasn’t different. After being plagued by dreams of a girl named Vivian and learning that she isn’t actually allowed to leave the ICPA, she goes through an identity crisis. Evie learns that what you are doesn’t define who you are. She learns that it’s the choices we make that choose our paths and who we are. Lend helps Evie a lot in Paranormalcy. While she’s going through her identity crisis, he is right there helping her figure it all out. When Lend and Evie first officially meet, he doesn’t trust her enough to show her his true form, even though Evie and see it underneath his disguises (glamour). He is insecure with who he is, as a paranormal. He doesn’t know where he fits in since he’s one of a kind. I thought he was so cute! He was so admirable and such a great guy. He and Evie were perfect together. They both complimented each other. Evie could see Lend perfectly. In fact, she even preferred his true self better than the main form he takes. There is one scene later in the book when he shows her what he really looks like. In it Evie thinks he is gorgeous and he is so shy about how he looks, my heart just melted. When he spoke to her in that scene, Evie heard his real voice and told him that she didn’t think she could go back to hearing his fake voice. It was such an intimate scene, probably one of my favorites in the whole book. This theme of beauty on the inside is seen throughout. Ah, Reth. I’m not sure how to describe him. He’s Evie’s ex-boyfriend (well, ex-almost-boyfriend). Evie, who grew up feeling cold and alone, confused having a crush/like-liking someone with the faerie feeling Reth was giving her. Reth would always fill her up with warmth, almost touching her heart. This made Evie scared that he would steal her heart and soul after they “broke up.” Reth has a terrible temper. Get him mad and he might kill. Threaten Evie, and he most definitely will. He is extremely protective of her. But Evie would rather never see him again. I felt like his intentions were good, and I think he cared about Evie, but at the same time I’m not sure. His actions were a bit on the sketchy side. Paranormalcy was a delightful read. I had a lot of fun reading it. When Evie experienced “normal life” for the first time, it wasn’t odd or unbelievable. Kiersten White didn’t make Evie naïve, ignorant, and gullible. She also didn’t make her into that teenaged character who acts like she’s 25, not 16. Evie was very much 16, but she wasn’t stupid. Evie was very well aware of her situation and her surroundings. It was very believable. This skill made the story so much more engrossing. I really cared about the characters and what happened to them. I can’t wait until the next book, Supernaturally, comes out in August of this year (2011)!! !